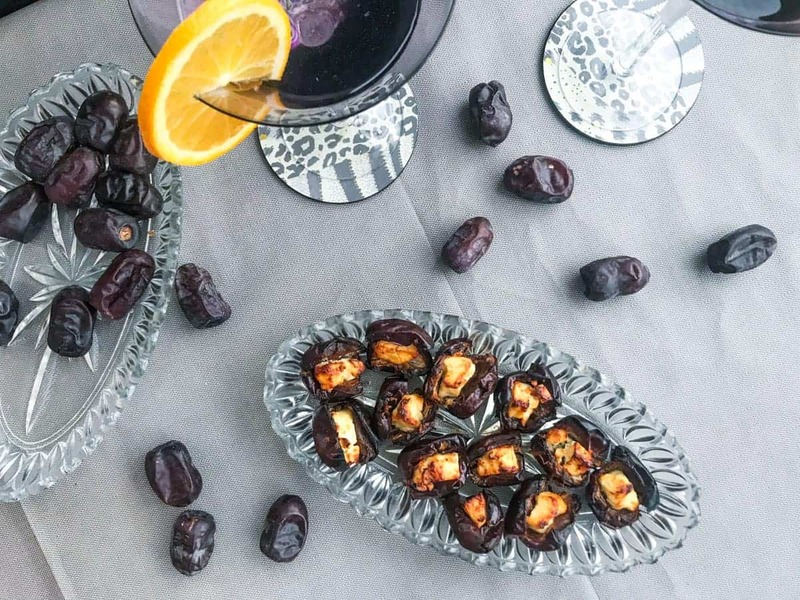 These Feta Stuffed Dates are a perfect vegetarian mix of sweet and savory that will be a sure hit at your next dinner party, or why not include them in a tapas spread? 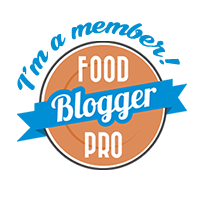 Super easy to make they’re a dish you’ll be making over and over – and while you have the dates out, why not make their favorite companion Bacon Wrapped Dates as well? So since forever (or something like that) I’ve made bacon wrapped dates as often as I can get away with it. That means dinner parties, tapas spreads, Christmas Smörgåsbords and even once or twice (eh, let’s say it’s just once or twice, OK?) on a boring and slightly tired Sunday afternoon. 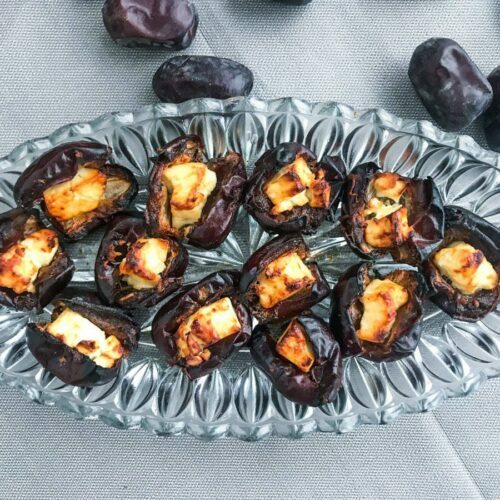 These Feta Stuffed Dates haven’t been around just as long, but long enough to be a staple in my quick appetizer book as well as an obvious part of our Christmas spread. I think it was about 5 years ago when I first made them – I had some friends coming over for Tapas night and one of them was vegetarian. 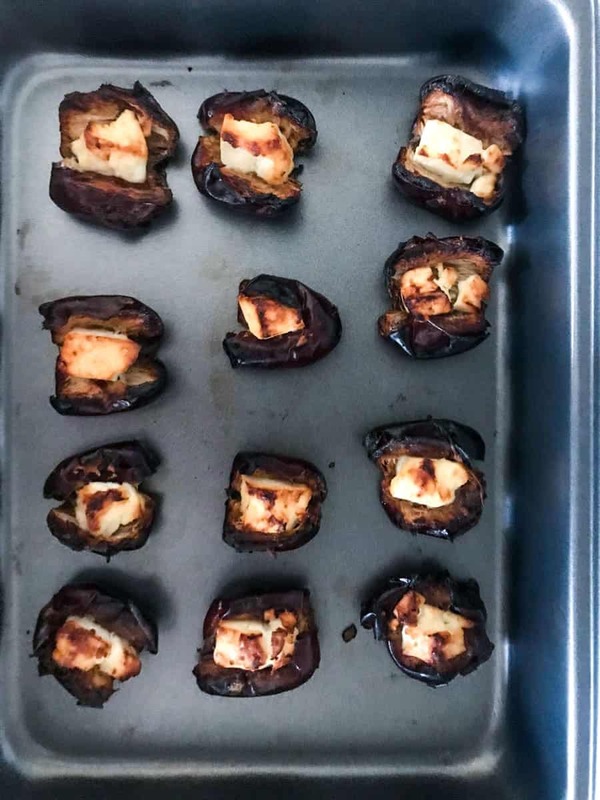 And being the fantastic friend I am of course I supplemented the bacon wrapped dates with a special kind, just for her – enter: Feta Stuffed Dates. Well, turns out, she wasn’t the only one who liked them, and so they became the natural sidekick for the bacon wrapped kind. I promised you easy, and well it doesn’t get a lot easier than this. They take about 15 minutes in the oven, and are prepped in under 5. 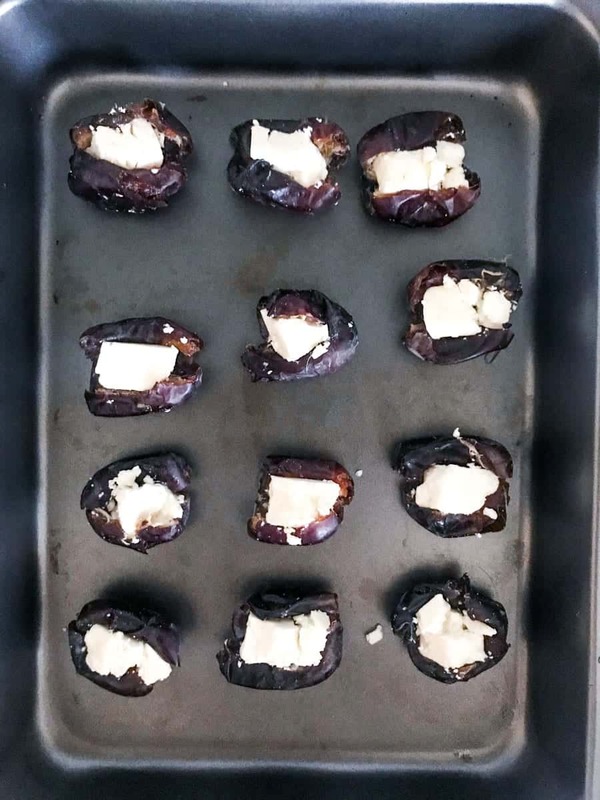 You just pit the dates and stuff them with a decent-sized chunk of feta cheese, and stick them in the oven. No need to stir or anything just let them sit and then 15 minutes later you’re ready to dive into this salty, sweet and cheesy goodness. Simple, simple, and minimal dishes. So – quick, easy, delicious and I have yet to meet someone who isn’t a fan. Just make them – your friends and family will thank you! 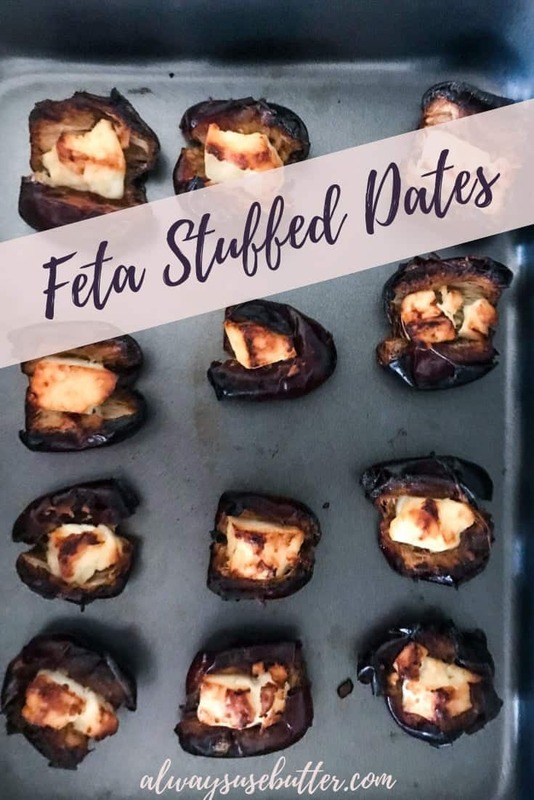 If you do make these delicious feta stuffed dates – please tag me @alwaysusebutter if you post it anywhere, I love to see your versions! 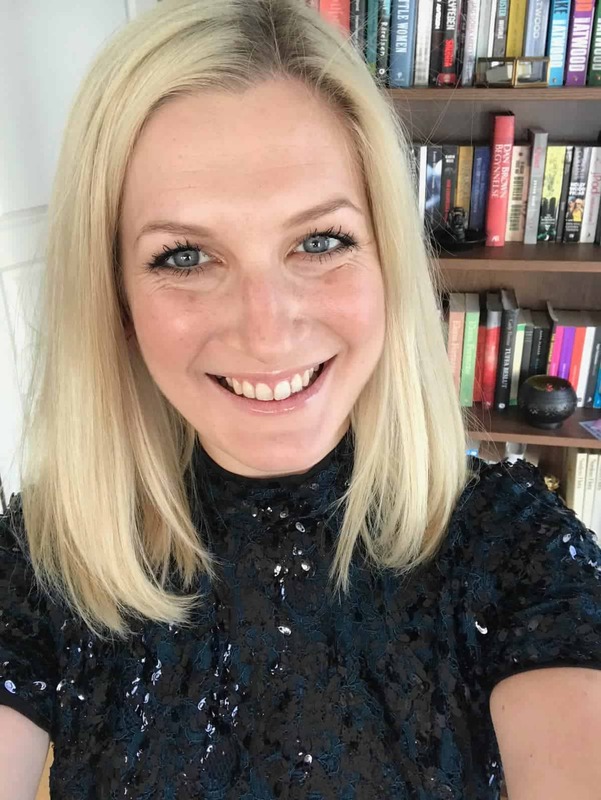 And let me know what you think – the easiest way is by leaving me a comment and/or a rating below. Set the oven for 225 C/440 F and place a baking sheet on an oven tray. Find the hole where you pitted the date and stuff in a piece of feta cheese. Place on the baking sheet with the feta cheese facing up. Cook for 15 minutes or until cheese has softened and has a nice color.